Is there any chance that these are actually some rare form of audio tape that we could record a WAV file of? There's no such thing as a wafer2dmk or wafer2cas or something, is there? Do you have a working ESF and TRS-80? 1. Connect the TRS-80 up to the Line Input socket of your soundcard in the PC. Load a sound editor like Audacity (it's free for download) into the PC and have it standing by. 3a CSAVE the program out, capturing it in Audacity as a WAV file. 4a Test to see if the WAV loads into Matthew Reed's emulator. If it does, re-write it as a CAS or ESF image file for archiving. Alternatively you could keep the original WAV but they are much larger of course. FOR a machine language program. 3b If you have ESF-80, you can write the memory segment straight out to the soundcard as above. An alternative is to load a monitor like TASMON in from tape, You have to watch you don't overwrite the program though. If you have 48k (non-disk) and a monitor program that sits right at the top of memory, that is ideal. Nearly all ESF programs occupy the first 16k and some large ones occupy most of it. 4b. Once written out as a WAV, you could load it into Matthew's emulator using the system command, You can then @save to program directly to a virtual wafer for archiving (or WAV or CAS). 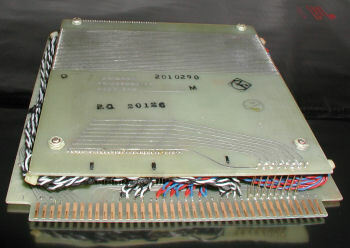 The ESF can co-exist with disk so disk monitor programs can be used. The problem is m/l ESF programs may be in the area from 4300 to 5200 where DOS resides. Hope this helps. I have a high memory version of TASMON as a WAV file I could throw on an FTP server if that is any help. Any cassette programs I use with my real TRS80 I load as a WAV from the PC through the soundcard using Audacity. Works just fine!